In today’s digital era, almost everything you could ask for or want can be accomplished online, either with the click of a computer mouse or the tap of a finger on a mobile device. Shopping, navigating, reserving restaurants and even dating have all found their way into the online realm. The advent of online casinos saw an understandably massive shift from land-based casinos to their online counterpart. Some steadfast fans of land-based casinos may turn their noses up at what they might call a “fad”, but the numbers speak for themselves and there’s no denying that online casinos have exploded in popularity for a number of reasons. Let’s touch on the most popular ones. Only a few years ago, mobile phones were heavy black bricks with the most basic of graphics and functions. While online casinos were well established almost as soon as the Internet itself was and thus playable on home systems, the idea of mobile play was something we might have only seen in movies. Now, however, we can open up our favourite game with the click (or tap) of a button, make a deposit and spin for a win – then and there! Mixing and matching various candies while waiting for the next bus trip or our next job interview is one thing; having the opportunity to hit a life-changing payout on the pokies or a poker game – well, that’s a different story. With online casinos being available to play on both PC/laptop and mobile device, players relished the possibilities available to them which, a few years ago, were unconceivable. Not only can players make quick and simple online purchases on the spot, the same process pretty much applies to withdrawals. Imagine being able to take a seat on a park bench one day and become a millionaire before even reaching for the bird seeds in your pocket to cast to the pigeons! Hand-in-hand with the idea of being able to play anytime, anywhere, is the idea that online casinos require absolutely zero travel on the part of the player – except, of course, the journey to the bedroom to get their phone or the little trip down the passage to where the PC is plugged in. Not everyone can afford the luxury of working from home, and while playing a couple of hands of poker or a few cranks of the pokies machine may just be the perfect way to relax at the end of a long day, the idea of having to commute to the nearest casino puts most people off. Perfectly understandable, too, when you consider that the “nearest casino” could be 45 minutes away. Apart from the hassle of having to drive (in traffic nonetheless), petrol costs are also to be taken into consideration, especially since there’s a chance the little fun-run in the local land-based playhouse could yield zero wins anyway, rendering the whole trip a little pointless. Yes, win or no win, the experience itself is more often than not what people are after, but admittedly there’s more fun to be had driving home with some extra cash in the pocket – even if it is just enough to grab a burger and fries from the local drive-through on the way home. While there is absolutely no proof that online casino players win more, or more often, there are a number of factors which might create this illusion. For one, the accessibility of online play means players are more likely to keep playing. Visitors to land-based casinos – those who don’t have the luxury of staying overnight – are more likely to concede after a big loss or big win and go home, while online players are more likely to keep playing. 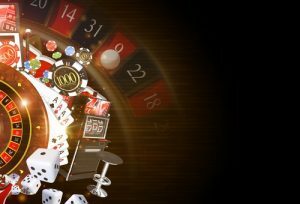 Many online casinos offer free bonuses – something which is lacking for the most part in land-based places – and despite various requirements, game time is certainly extended. Reputable online casinos enforce Random Number Generators (RGNs) in their systems so as to keep payouts completely random and in line with land-based casinos, but the aforementioned factors certainly make the online option seem more lucrative. Incidentally, what we perceive, we achieve – so believing you’re more likely to win at an online casino might just render you lucky. Previous Post: « How Do Casino Bonuses Really Work?